Splunk Enterprise is a leading product for IT where Administrators, Security Operations, and Developers can send data from almost anywhere into a real-time analytics pipeline to correlate and diagnose events. If you are like me and you want to try Splunk out to get a feel for the search before committing to sending all your data over, this guide goes through running Splunk Enterprise in a Docker container. In the next post, I'll go over how to send data to Splunk with the powerful Fluentd Enterprise. My Amazon AMI Instance is a t2.small which has 1 vCPU and 2 GiB of Memory. Amazon AMI instances already have Docker bits in their hosted repos, so all we have to do to install docker is run a yum install. If you have an older Amazon EC2 instance you should also run a yum update to ensure you are grabbing the latest. This command installs the docker daemon and the Docker engine on your Amazon AMI instance. To check if Docker is installed run the following command. Depending on when you read this blog, the output can be different based on the current version. Additionally, let's run the docker start command to ensure that the Docker engine is running. -p 8000:8000 binds the port 8000 of the internal running container to the external 8000 port of the Amazon AMI VM. This port is for the Splunk Management GUI. -p 10000:10000 does the same as above. This port is when we use Fluentd Enterprise to forward messages over TCP. -e "SPLUNK_START_ARGS=--accept-license This is a command that allows the license to be accepted. -v mounts the container volumes with the Amazon AMI VM's file paths. If you have something that exists under /opt/splunk you may receive an error of a pre-existing installation. If inbound rules are not properly set than you can use the Security Group hyperlink to edit inbound rules. 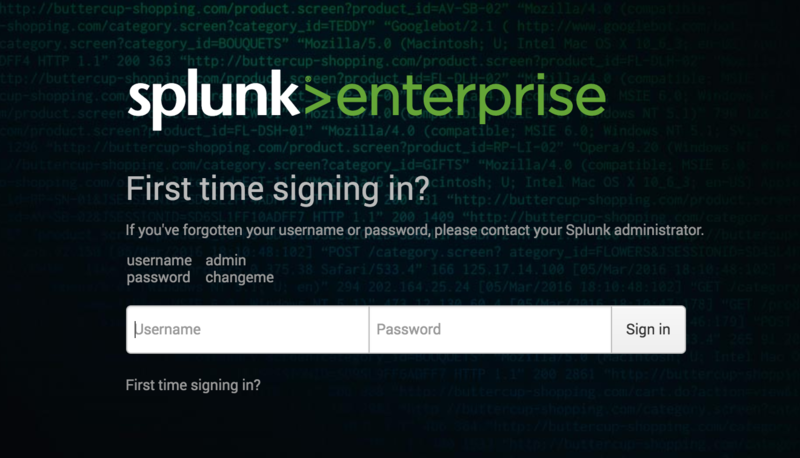 Now that you are on the main screen you can start to explore Splunk! if you recieve messages about an outdated version, you can also change the docker run command to point to the splunk/splunk:latest image instead. That's it you now have Splunk running in a Container ready for you to explore.